We are so proud and elated to share that the students of Architecture and Planning, Integral University, Lucknow again made us proud by participating and winning the National Level Birla White Yuvaratna Design Competition 2018.This award is most acclaimed indian design award for the architectural fraternity orgainized by Birla White every year.Our students got nominated for both the themes for which over 5000 entries from 100 institutions have been received from students across India and neighbouring countries. Ramika Gupta sophomore B.Arch bags the Second Runner-Up trophy. She has designed concept for Aganwadi whereas Sambhav Goyal of 3rd Year B.Arch has been the First Runner-Up in the category of ISBT (Inter State Bus Terminal). 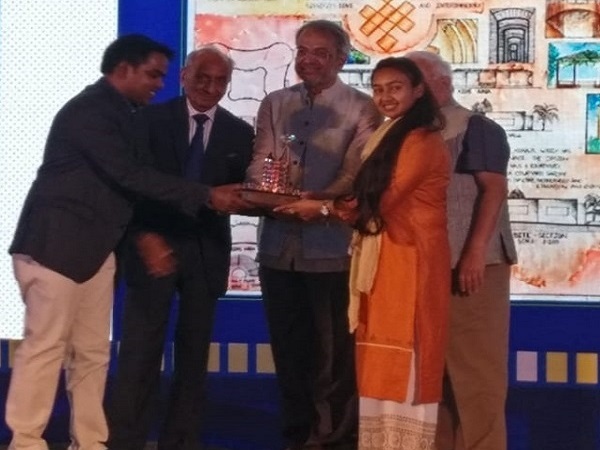 The winners exhibited their projects at a final event held in Mumbai on 15th March’2019 and have been awarded with the winning trophy and cash prize. We heartly congratulate our students for their great achievement. It is indeed a moment of Pride and Honour for Integral University to have such talented and creative students.